Every single song holds a story for me that I can think about whilst doing the shuffle, pushing ensuing pain to the rear of my thoughts, well that’s the plan anyway. I have started many a post, but they are always so long and epic, that I decided that I can just post short posts if I like. I remembered that the reason for this thing, was for R&T to read off in the future to see what was going on at the time. So, boy am I glad it is 2014. 2013 was hard. Very Hard work all round, but things are looking on the up, which has taken longer to build momentum. In the main, I am talking about the setup of the new business, but it has bled into other areas, one of which being fitness. My fitness has slid since the half marathon last year, and in a moment of delirium around Christmas, I decided that I am training for the full marathon in July. 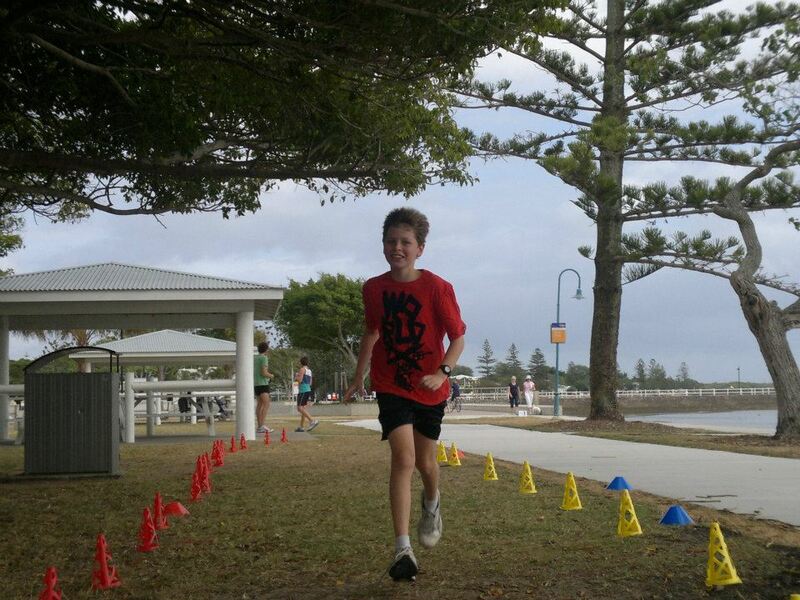 20km’s this morning in humid windy conditions was trying! A pic I grabbed of the Daily Runner group on our volunteer day at park run below. Anyhow, be ready to see more of my posts here, so much to catch up on. Song of the day comes off my current long run playlist Arcade Fire – Reflektor which is 7.5 minutes of goodness, and a great tempo for running awkwardly. It was an early start, with the alarm #1 going off at 3:02, so alarm #2 didn’t need to come into play. 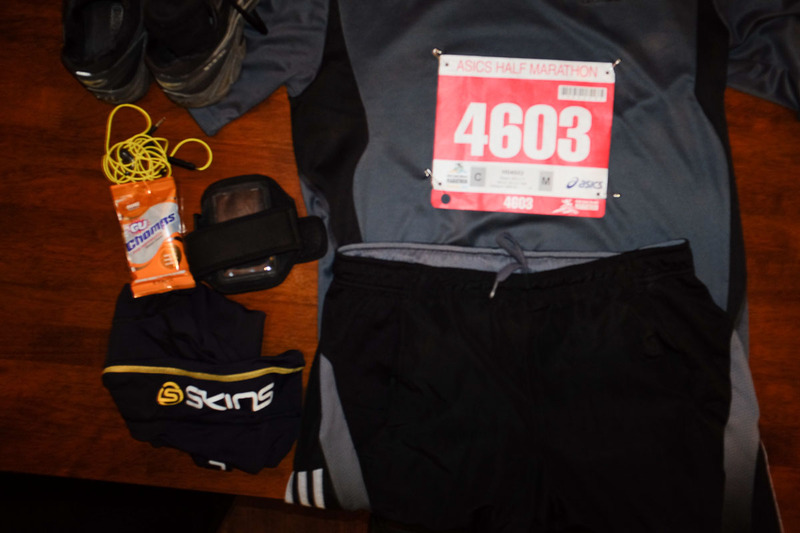 Why I picked 3:02 and not 3:00 would require a separate blog post, and one that may drive away my 2 readers with the author’s wackiness… I did sleep well knowing everything was packed / ready, and I just need to get up, and go pretty much. I grabbed a light breakfast and caught up with the news overnight, seems the watching of the Wallabies Lions decider may not be as urgent given the result. I heard a sleepy ‘good luck’ from someone upstairs that sounded like Sue in a dreamlike state. It was a good run down the coast, sipping on my water and chanting don’t go out too fast. Parking was easier than expected and I found myself in the race precinct around 5:00, an hour before the start. I dropped off my bag, and made the regulation nervous toilet stop, after the regulation nervous toilet line wait. I then lined up at the barriers, to be let into the starting area, and made sure the playlist was loaded and working. The gates were opened and a little jog to the starting zone, and an underdone warmup was complete. I couldn’t see the 2:00 pace starting area, so I hung back behind the 1:50, and let the massess press past me. (I didn’t want to be that guy slowing up the pace). I caught fellow parkrunner and daily runner, John C at the start, and I said don’t wait for me, run your own race. There must have been 1 or 2 thousand people ahead of us, and as the start got closer, lots of nervous banter about their garmin’s dropping the satellites again. I must have played with my watch every 15 seconds to ensure it was good to go, as it would be crucial to my run pace. Running along, with an eye firming on my pace, it was great to see lots of support for runners by their family and friends, but it extended to all who ran past. I am pretty sure the multiple kids that I high fived as I passed, gave me extra energy! There were people dressed up in all sort of gear on the side of the road, and I loved an old couple standing their, banging pots with spoons (saw them at 2km and 19km), crazy elderly folk! 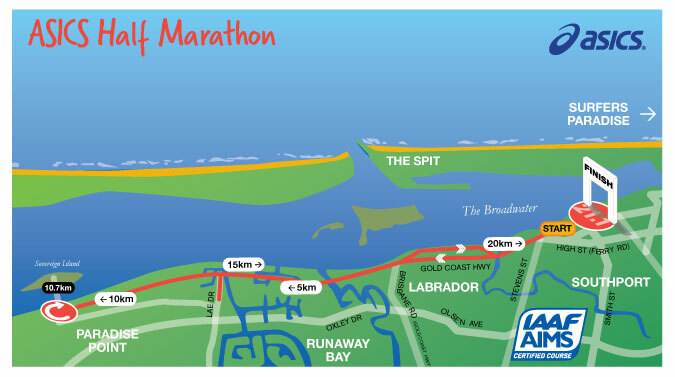 There were a lot of positive comments along the route, and coming home in the last 1.5 km it really helped! As I started back in the field, though I didn’t know how far after the start I actually started, I was worried I wouldn’t see the black balloons. The pace runners have different coloured helium ballons attached to them, and the 2:00 target was black. I passed the 2:10, and was hopeful of spotting the black. I spotted them in the distance around the 9k mark, and I think I caught them around the 12k mark. The pace runner was dressed as a bee, and looked to be doing it easy, letting people know when the next water station was and getting photos taken. I pushed on at my 5:30 pace, and managed to finish (my garmin says) 1 second ahead of the target pace. I felt Elated! My knees did not. I caught up with John post race, and we also bumped into Neil who ran a 1:23 which is scary fast! John said he had “backstage passes” to a special area, so he was going to grab some food, while I grabbed my bag. And that was the last I saw of him… So many people and he didn’t have a phone, oh well, next time. IF, and a big IF, I decide to do it again, it would be great to have the family down and stay the night before and after, as it had a fantastic atmosphere, and would be great to experience the event more than that of a race blow in. Those beers I mentioned in a previous post will certainly get a nudge this afternoon. 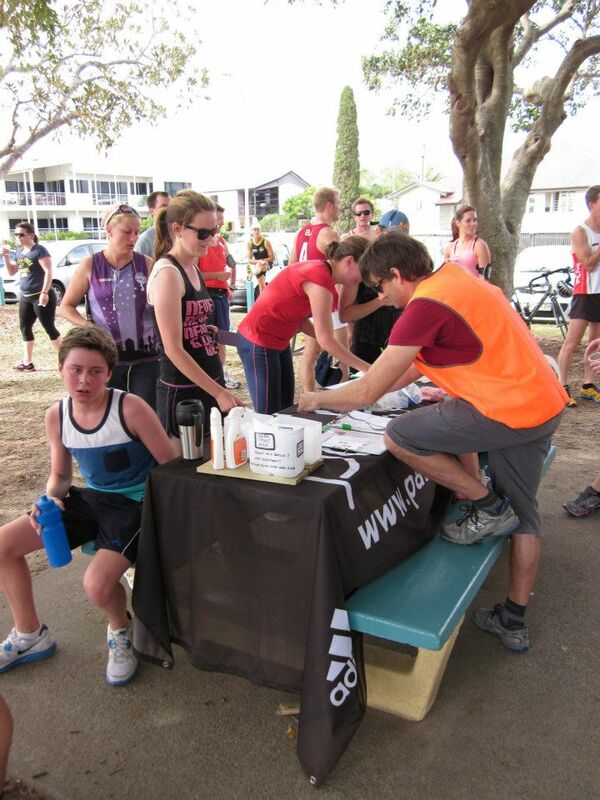 Thanks to support from the local runners that gave great advice, and especially Paul H and Werner. Cheers! The song of the day, is off the playlist from today Queens of the Stone Age – Go with the Flow, and it was playing as planned as I approached the finish. I did however pause the music to soak in the last 500m. It seems that the lurgy may be behind me – touching my head as I say touch wood, the things you pick up as a youngster that stay with you. I have put in the prep for the event, which I haven’t been able to always say, so it’s now rest, hydration and enjoy the morning on Sunday. 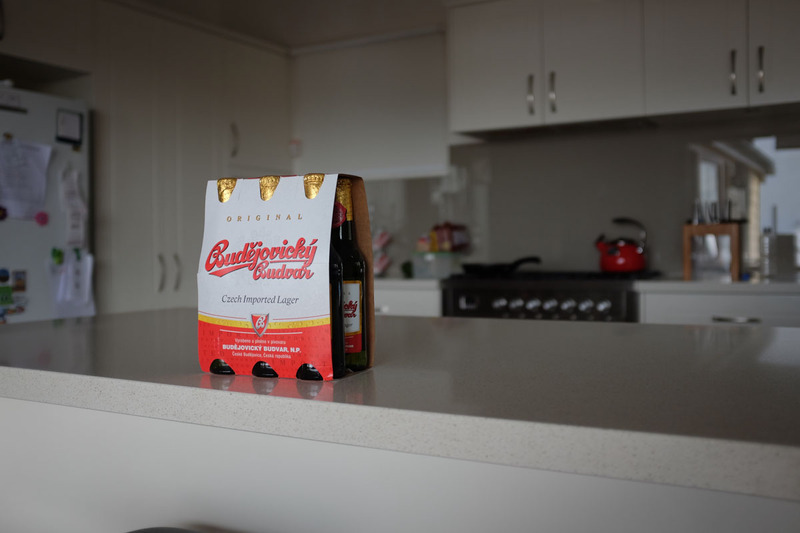 Sue was kind enough to grab my favourite beer, and they are in the fridge chilling for when I return, and sit down to watch the wallabies v Lions game that I hope I stay strong enough to miss on Saturday, but I doubt it… Oh, and she also made lasagna, which is another favourite and seldom had treat (lasagna not Sue cooking Sandy!). So I have definitely been supported on the home front! I think my biggest risk on Sunday will be getting a little excited at the start, and going out to hard, so I may heed some advice to position myself back in the pack (of my time group) to hold me back for the first k or so. The most important part of the run prep is now complete, with the mixed tape playlist finalised, which I have listed below for both of my readers. All things going well, I should listening to the start of The Mess Hall’s – Keep Walking at the halfway point, and as the Queens of the Stone Age – Go with the Flow finishes at 1 hour 55, I should be nearing the finish. Well that’s the plan. I have some buffer at the end of the list, in case one of my dunlop volleys has a blow out. It was tough to pick the songs, but in the main they were songs that make me feel good, old and new, new that sounds old, and most have an up tempo. Australian bands are represented, as well as a couple of Brisbane tunes. The first song on the list has become a tradition for me, and is always the first tune I hear when I head off on a timed run event. At least that is what I have said for the majority of my life. 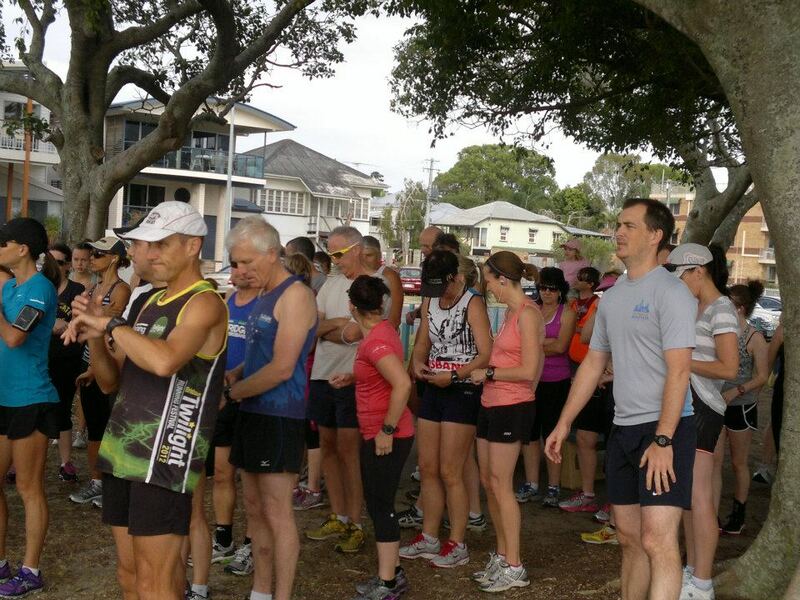 I have posted before that I have enjoyed my local parkrun event, and that still remains the case. When I put down the goals at the start of the year, I wanted to run 5km’s under 24 mins by June 30 and under 23 mins by the end of the year. Thankfully I got to tick the first of these off the list, and will chase down the 2nd goal after a certain running event is out of the way, but more of that below. 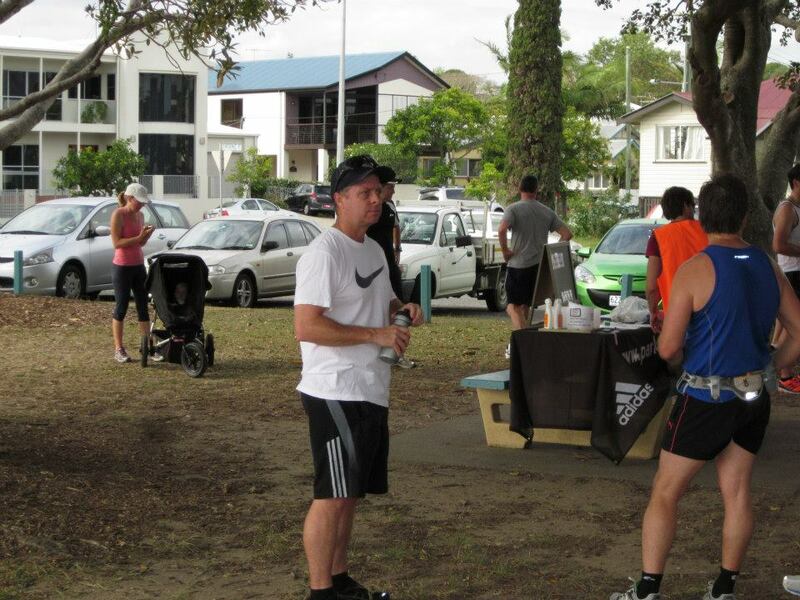 Through parkrun, I saw a local running group called daily runner, run by husband and wife team Werner and Ash. 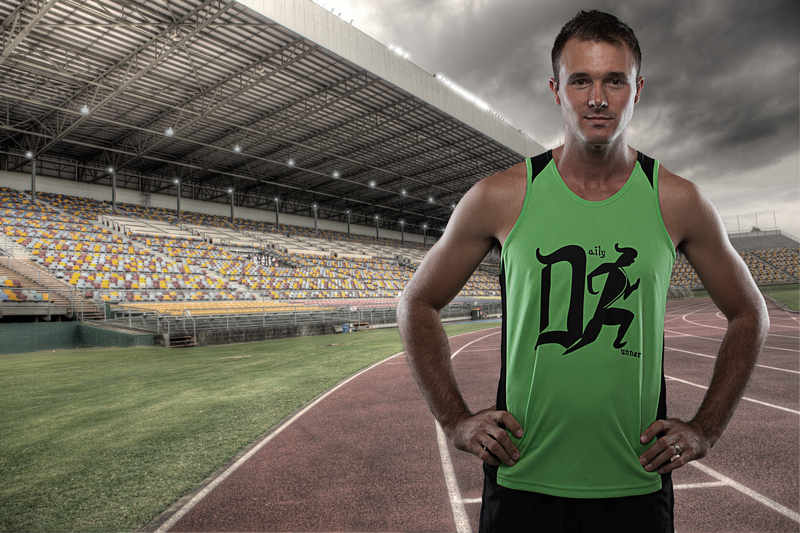 I had a chat with Werner and felt I wouldn’t be too ostracised by my homage to Cliff Young running style. 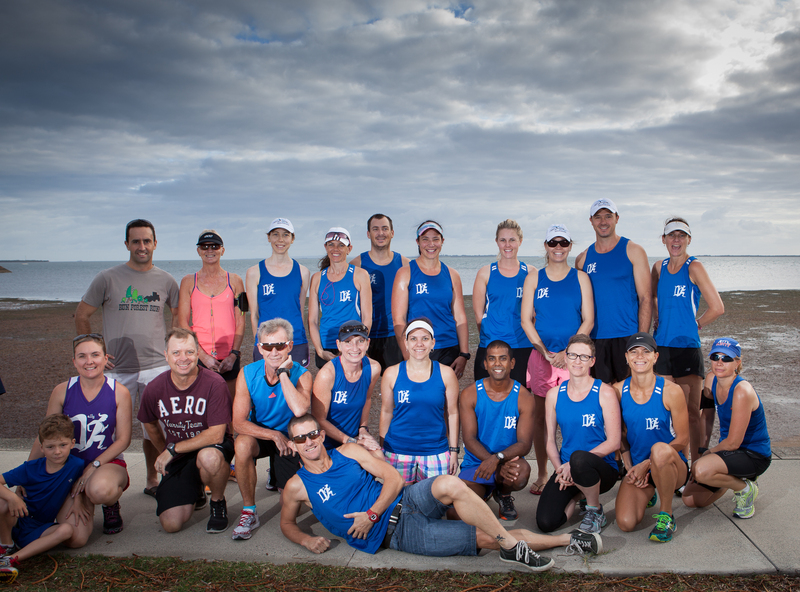 Just like the parkrun crew, and dare I say, even more so, the group is such a supportive group of people, where we are all at different levels of fitness, style and goals but everyone feels great by the encouragement. I also have an ex-brother-in-law who has done a half a dozen marathon and was very helpful in my weekly increase of distance advice, and the pace that I should be trying to run. 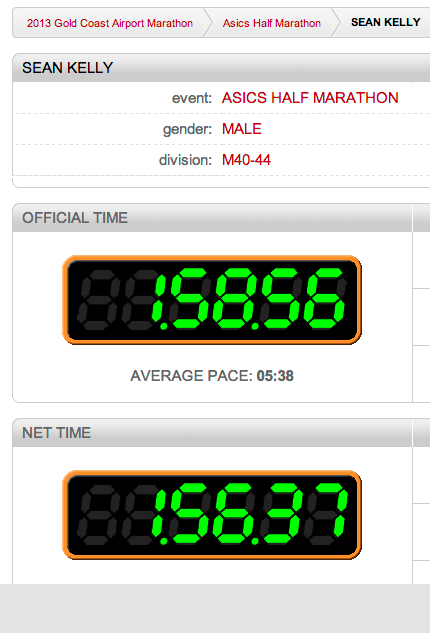 I did start out hoping to just finish, which is still the #1 goal, and a pace of 7min/k. I have brought this down to 6min / k and I have a cheeky eye on beating 2 hours for the just over 21 km event. I have done the preparation runs and feel confident I have put in the work for this one. Then along comes a head cold, that has been with me for 3 weeks now, but I am hopeful it peaked last Friday with it dropping to my chest. (I have had respiratory type stuff all my life, so this is usually a sign I am on the mend, fingers crossed.) All that is left now is making of the all important playlist, and as soon as I can prise a holidaying Tegan away from our mac that has all our music, I will get to it. Hopefully I will have good news that I finished, and just maybe, cracked the 2 hour mark. Wish me luck! 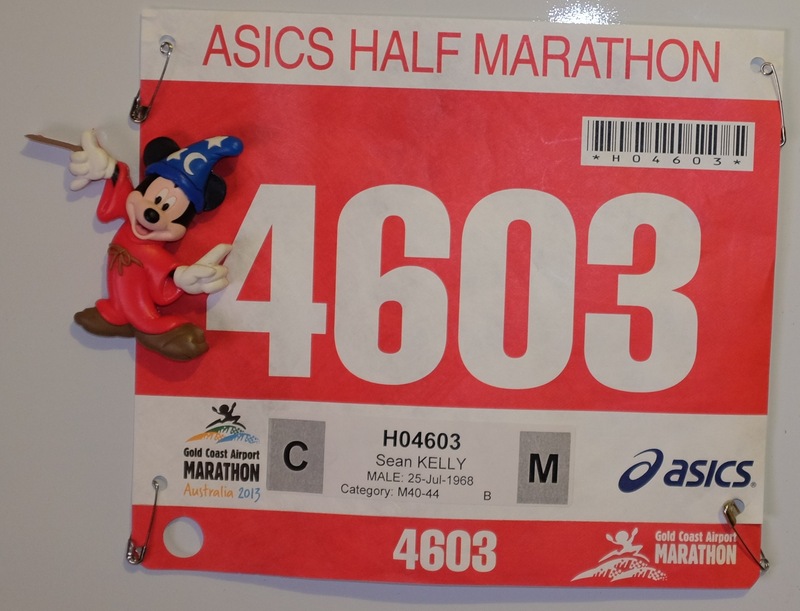 My family doesn’t seem that keen on joining me, with a 3:00 get up and head off at 4:00 this Sunday. I still don’t enjoy running, but I love the feeling I get when I stop! Thanks Eloise from the DR crew for that quote! So my least favourite exercise would have to be running. Well even below least favourite, as I am so bad at it… My brother is tall, lean and was a gun runner through his youth. I look like a pint of Guinness, and run with less ability than said pint. So I have always had a nagging thought in my mind, why am I so bad at this, why can’t I learn to run a bit and do some fun runs, though I have done a couple including one I posted about a little over a year ago. Well, one Friday evening as I was scanning through my email, I saw a note in our local councillors newsletter referencing Park Run, and it sounded like a great concept, and only a 15 min walk around the corner. 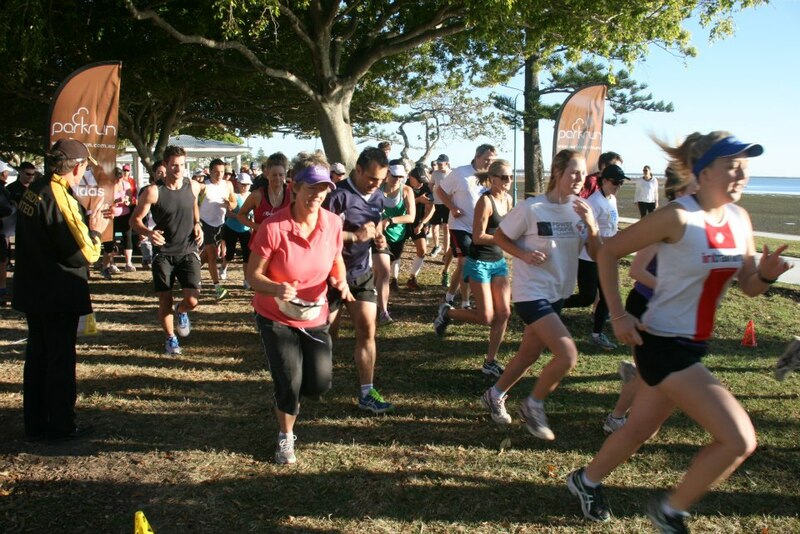 The idea behind parkrun (read the link for the accurate description), is that it is a worldwide, weekly, timed, 5km run, free and run by volunteers. 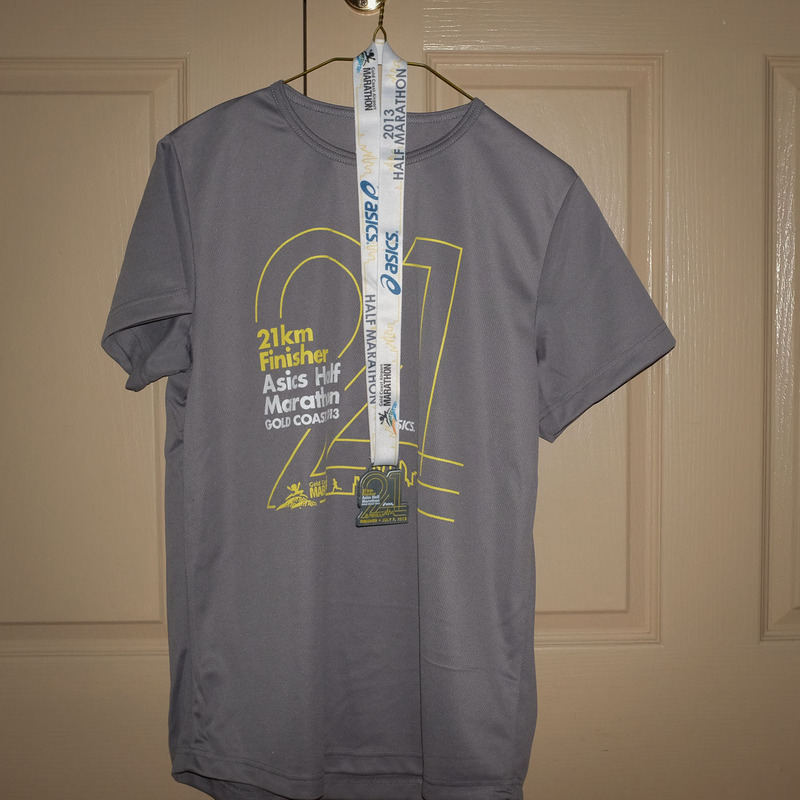 You register online, and get a bar code, which you scan at the end of the race, and your time is uploaded to their website. The organisers, Alan and Roisin have done such a superb job in bringing together the organisation required to run the event. Whilst I have only spoke with them a few times, they are very warm and welcoming people, and a tip of the hat to you both! As the event for me is just around the corner, it has given me a chance to meet others who live on the area, in in one case, a couple of doors up, (Hey Paul if you ever find this). It does have a real communal feel about it, and I like it! I managed to get team Kelly to one event during school holidays, so the 4 of us register and set out on the day, though mother hen was more interested in walking the (not quite complete) course. As a side note, on this day I kept an eye out for the 3 of them, but couldn’t see Ryan at the turn around point, and I would later realise, that he was right on my shoulder. Since starting, our friends, Team Gill, have been heading down with ever more frequency! 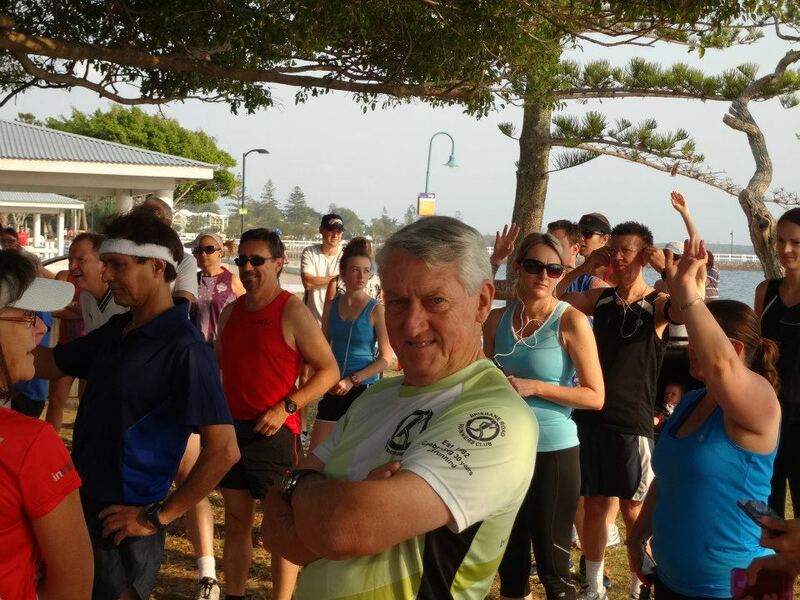 It’s great to catch up with a chat prior, and make red faced, hand gestures after the run. Nick left nothing out there! Happy to say that I have run start to finish, every one, including the misinformed weet-bix before race incident, and the only thing getting me there was my playlist list dragging me along. I have a ritual to pick the songs, and the order of them being played, to get me through the euphoria of the start.